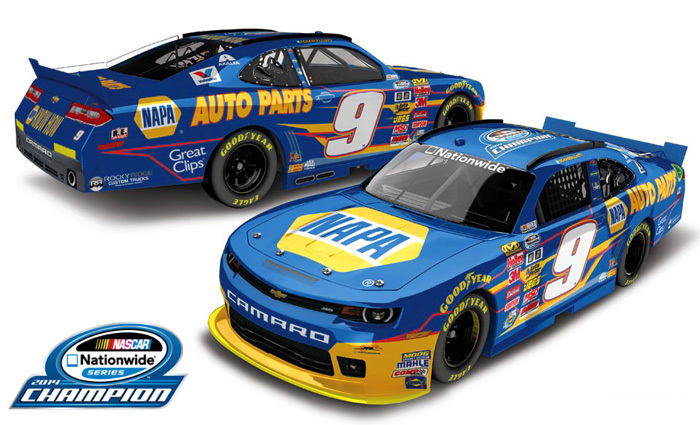 2014 Chase Elliott #9 NAPA / NASCAR Nationwide Series Champion / Chevrolet Camaro NASCAR diecast, by Action. 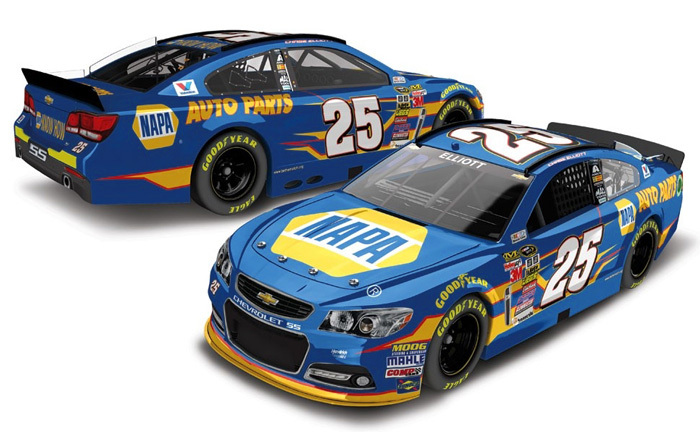 This diecast car features the 2014 NASCAR Nationwide Series Championship logo on the roof. 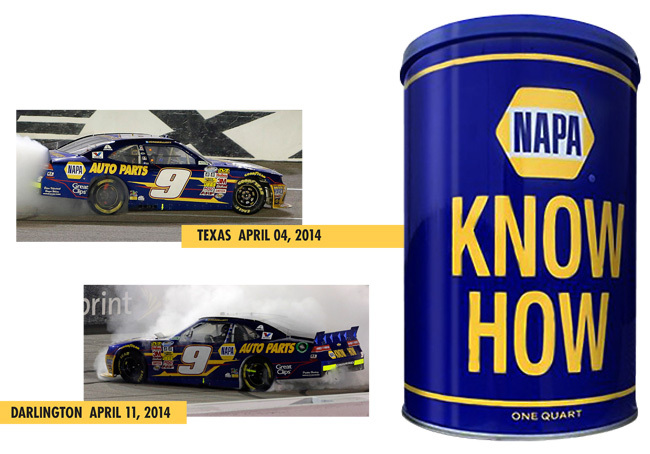 Chase Elliott, the 2014 NASCAR Nationwide Series Champion! 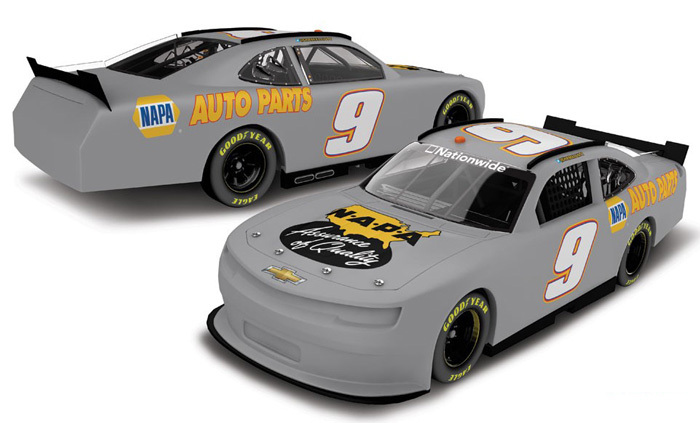 2014 Chase Elliott #9 NAPA / Test Car / Chevrolet Camaro NASCAR diecast, by Action. The JR Motorsports #9 NAPA Chevrolet Camaro Test Car was driven by Chase Elliott during the NASCAR Nationwide Series test sessions at Daytona International Speedway on January 9-10, 2014. 2014 Chase Elliott #9 NAPA Auto Parts / Darlington Win and Texas Win / Raced Version / Chevrolet Camaro NASCAR diecast 2-car set in a NAPA Can, by Action. 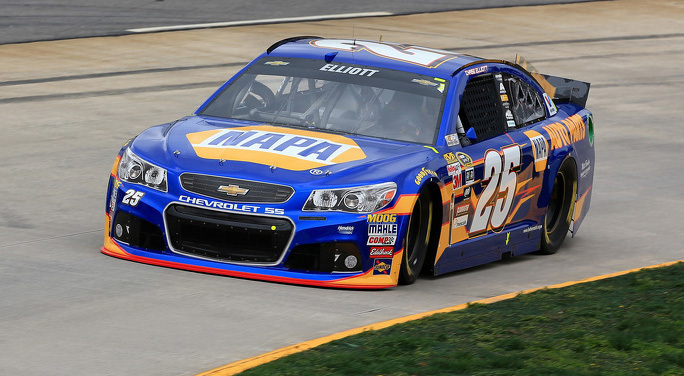 Chase Elliott made history as the youngest driver to clinch back-to-back wins in the NASCAR Nationwide Series. 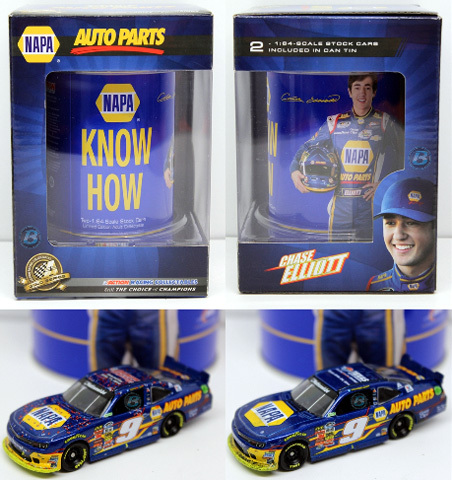 Packaged in the famous NAPA KNOW HOW can and featuring the track locations and race date on the roof, this special 2-pack raced win set commemorates Chase Elliott’s Texas and Darlington wins.